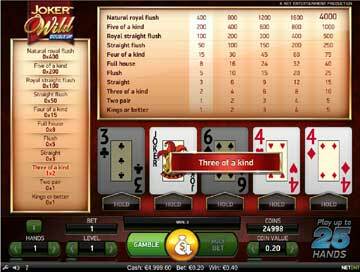 Check out the latest bonuses available to Video Poker players at our recommended casinos. The game below is an HTML5 (NO download) version of Jacks or Better which you can play for FREE, without registering, on your mobile, tablet or desktop. This free game gives you 10,000 in play money credits - and as long as you want to practice the game! 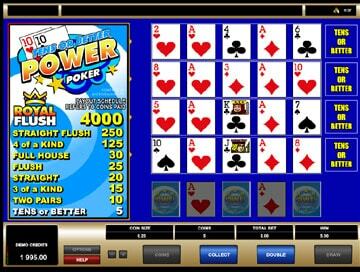 If you want a reminder of how to play, check out our Video Poker basics guide. And if you want to give yourself the best chance of winning, get familiar with our Jacks or Better recommended strategy. Sign up at Miami Club casino and get up to &dollar;800 in bonuses - a &dollar;100 bonus on each of your first 8 deposits! 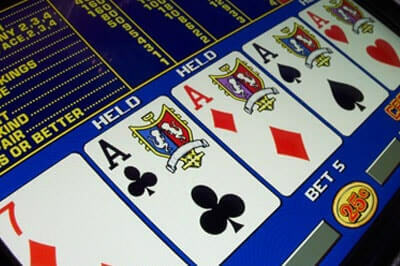 Miami Club has over 20 great Video Poker games to choose from, including Single, 2-4 and Mega-multi Hand - and US players are welcome to play!